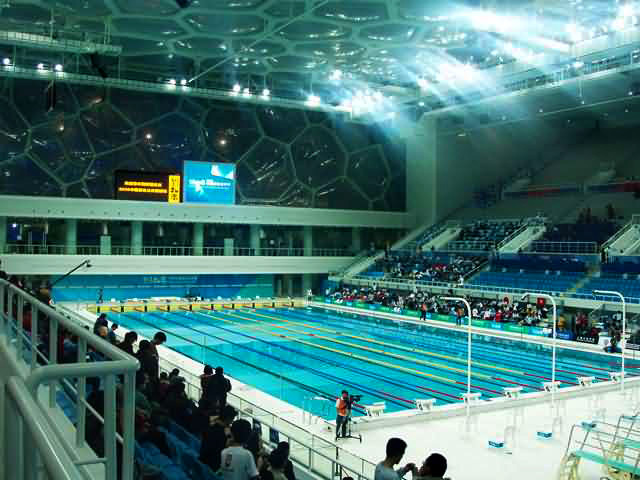 The water cube uses solar energy to heat the pool. 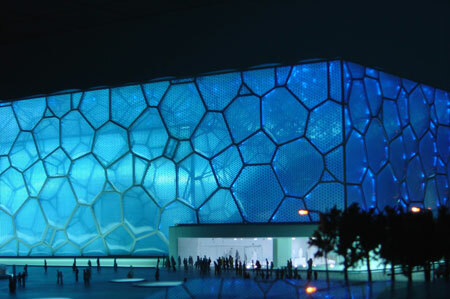 The water cube is located in Beijing. 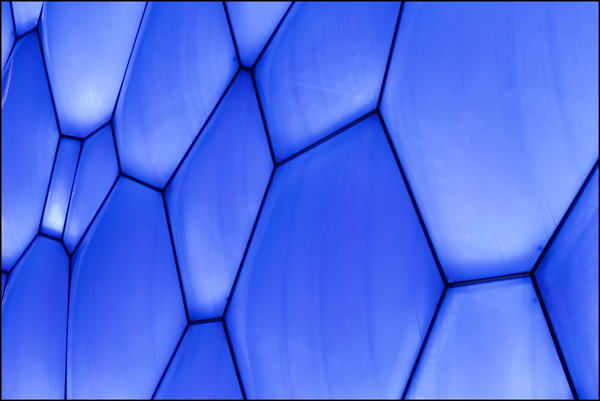 The exterior of the Water Cube is made of 4,000 ETFE bubbles, as long as 30 feet across!!! 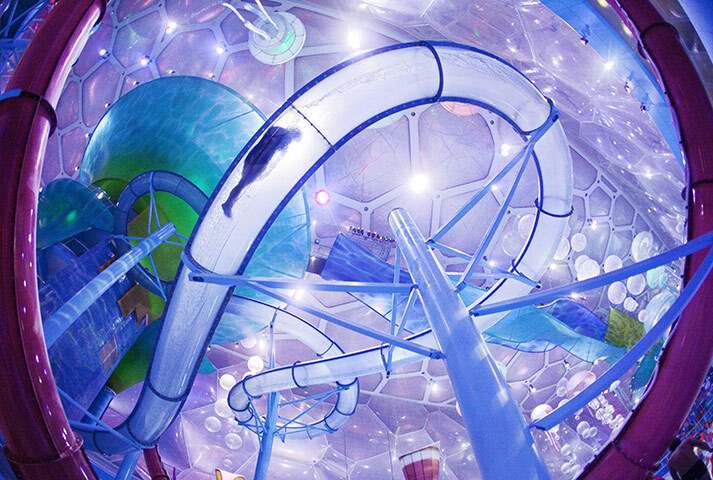 The materials used were: PTW Architects of Australia,CSECE Internationa,ect.